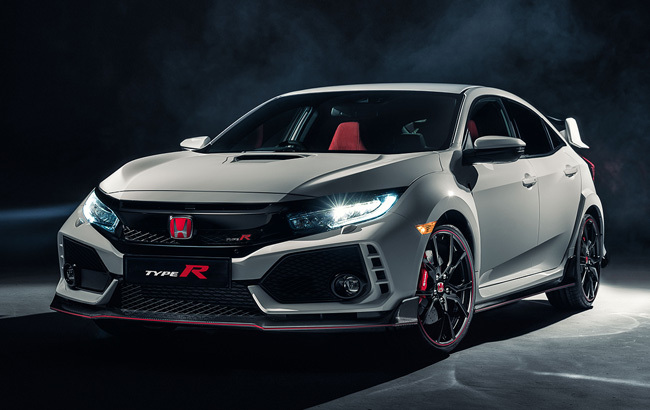 Honda Cars Philippines, Inc. (HCPI), Honda’s automobile unit in the Philippines, is proud to announce the availability of the much anticipated All-New Civic Type R. This is the first–ever Civic Type R model to be sold locally. All Honda Car Dealerships will start accepting reservations starting July 11, 2017. The exterior of the All-New Civic Type R boasts a comprehensive aerodynamic package. The five-door–five-seater hatchback carries an aggressive front grille, a Type R wing type spoiler, and Vortex generators at the trailing edge of the roof line.The front and rear bumpers and side skirts also sport a carbon fiber effect and sporty red accent line, which runs around the entire vehicle. The muscular and aggressive body, combined with its aerodynamic package, gives the All-New Civic Type R best-in-class balance between lift and drag, contributing to better high speed stability. The sharp and aggressive front grille is an interpretation of Honda’s family ‘face’, incorporating the signature Honda front full LED headlights with auto leveling and auto on/off that complements each distinctive feature. The All-New Civic Type R is also equipped with a new lightweight aluminum hood with hood scoop to provide higher air intake to the turbo. And to keep the All-New Civic Type R’s massive airflow,three fully-functional tailpipes are positioned at the rear lower center of the car. Main tailpipes on either side deliver exhaust from the engine, while a unique, smaller center tailpipe controls the sonic tone of the engine. Similar to previous Civic Type R models, it is adorned with Honda’s famous red ‘H’ badge. Filling the enlarged wheel arches are 20-inch Berlina Black alloy wheels with 245/30 R20 tires. With the combination of the 2.0 VTEC TURBO engine, 6-speed manual transmission with rev match control system, bespoke chassis, adaptive suspension, and an aerodynamic exterior, made the All-New Civic Type R set a new benchmark lap time for the front-wheel drive category at Nürburgring Nordschelife last April 3, 2017 with a record breaking time of 7 minutes and 43.8 seconds.